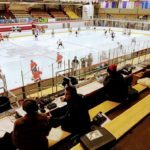 Marquette, MI – November 20, 2018 – The Marquette Redmen Varsity Hockey team was at home against the Houghton Gremlins in their third game of the season on Fox Sports Marquette 105.1-99.9 and 103 FXD. 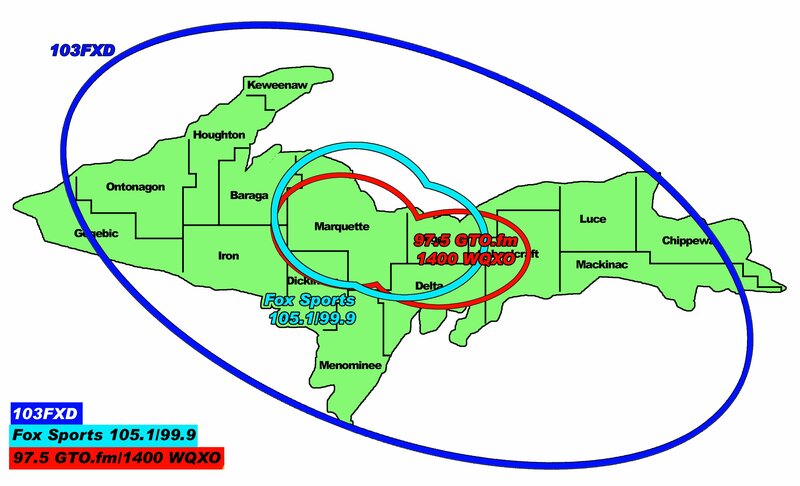 The Redmen settled for a tie game last week against Utica Eisenhower, after a win the night before at Berkley. 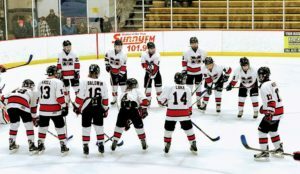 The Marquette Redmen Hockey team hosted the Houghton Gremlins. The Gremlins put the pressure on the Redmen right away in the first period. Houghton had the first goal of the game to bring the score to 1-0 over Marquette. With an extra attacker, Houghton turned around and scored again in short order for a lead of 2-0 over the Redmen. The period seemed to end as quickly as it started, with Marquette in need of a much stronger showing in the second period. 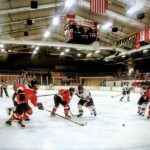 After a frustrating start to the game, the Redmen began the second period searching for a chance to even the score over the Gremlins. 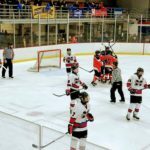 Redmen goalie Tyler Bergwall made a huge save, and all without a stick. But Houghton turned around and found the back of the net for a 3-0 lead over Marquette. 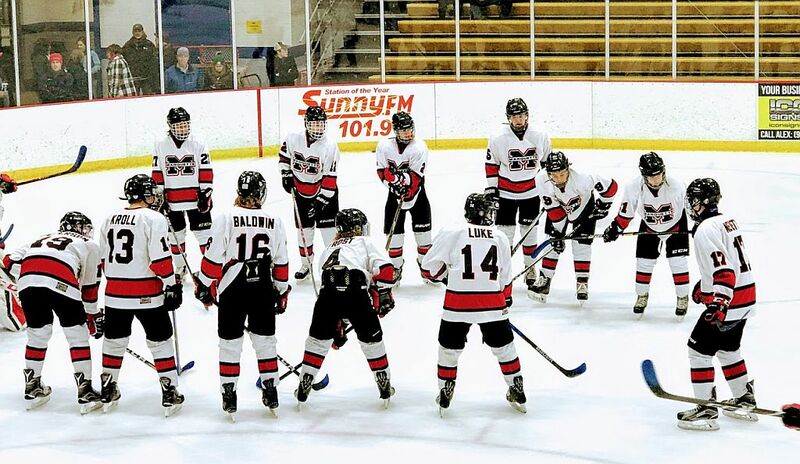 The Marquette Redmen vs the Houghton Gremlins. 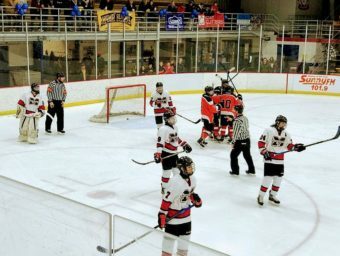 The Redmen had a huge chance to get back into the game on a five-minute major penalty, but could not generate a goal in the final minutes of the second period. 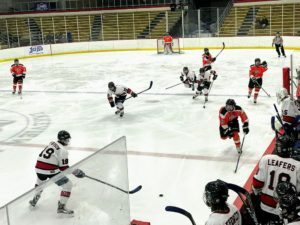 The window was not shut completely on this opportunity, however, as Marquette stood to start the third period with one minute and 53 seconds left in the power play. 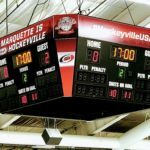 An embattled Marquette team entered the third period with a few chances to even the score. No Redmen attempts made it to the back of the net, however. 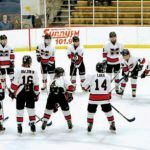 The Gremlins protected their comfortable lead, and the minutes ticked down on chances for the Redmen to make it onto the scoreboard. Ultimately, the Gremlins defeated the Redmen with a final score of 3-0. 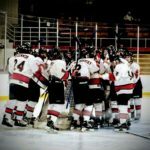 The Marquette Redmen Hockey team will be on the road against the Escanaba Eskymos on Tuesday, November 27th. 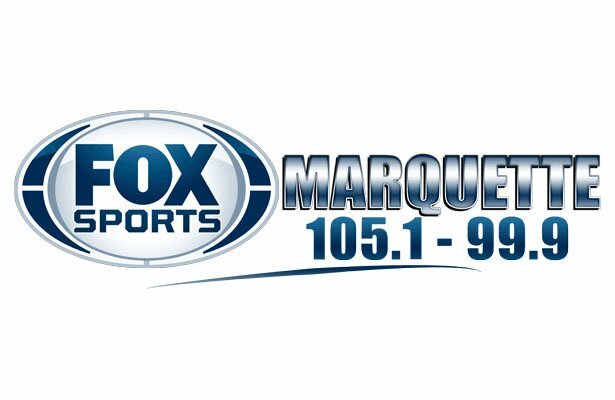 Tune in to Fox Sports Marquette for all the action. Pregame starts at 6:30 pm, and the game starts at 7:00 pm. 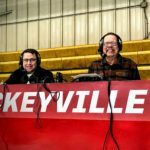 John and Joe bring you all the Redmen hockey action! A bird’s-eye view as the Marquette Redmen take on the Houghton Gremlins. A shot of the scoreboard as the Redmen take on the Gremlins at home. 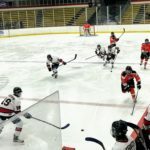 It was the Marquette Redmen vs the Houghton Gremlins in game three of the season. 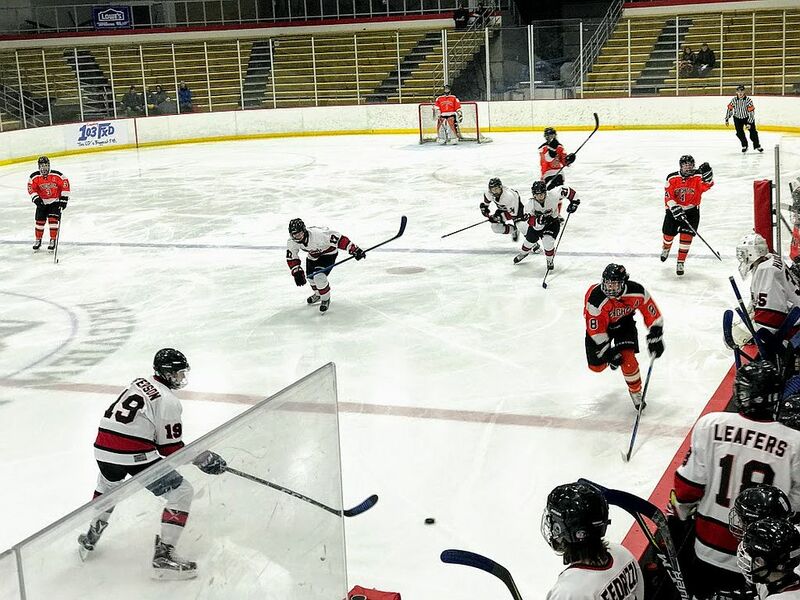 The Marquette Redmen Hockey team faced off against the Houghton Gremlins.